Our new Pacific Northwest sports commentator. 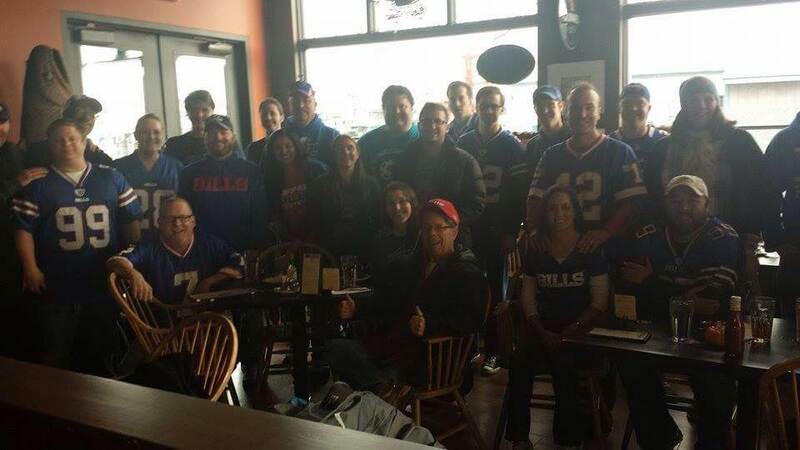 On the Seahawks, and some Bills. 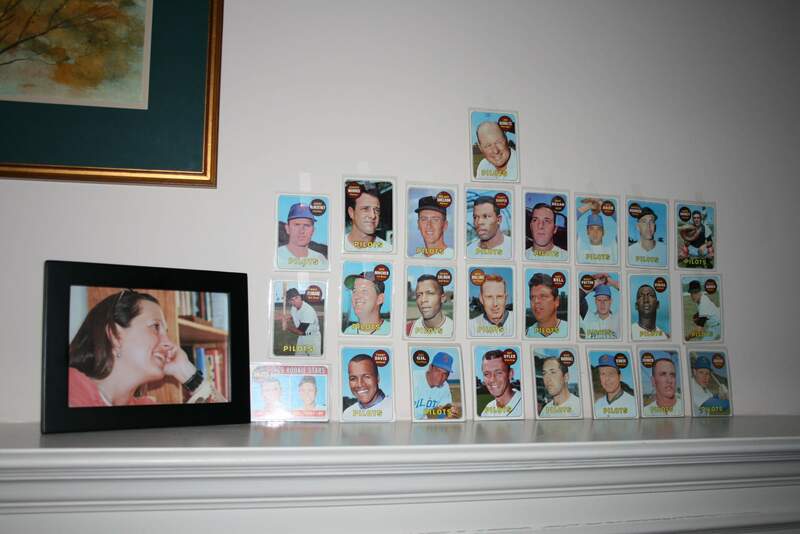 Shrine in the Burke’s living room to the 1969 Seattle Pilots. The Pilots only played one year before moving to Milwaukee. The Sounders aside (although the soccer team often draws crowds in the 40,000s), both cities have two major league teams: Seattle in football/baseball and Buffalo in hockey/football. 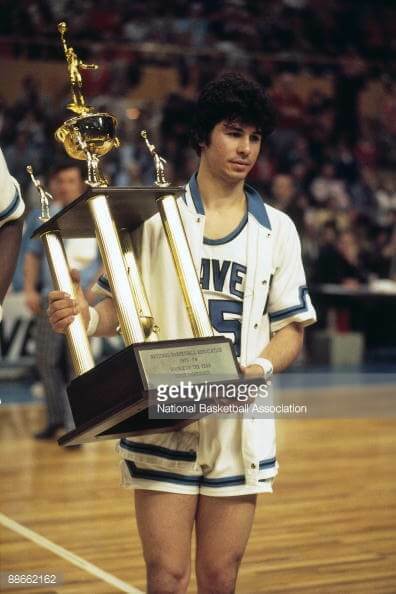 And both had but lost NBA teams: the Seattle Sonics (who won the title in 1979) and the Buffalo Braves (as did Rochester, the Royals, champions in 1951). The Mariners have never been in the World Series, making three trips to the American League Championship Series (1995, 2000 and 2001). The Sabres lost in their two trips to the Stanley Cup Finals (1975 and 1999). Not counting the Sounders or the Bills in their AFL days, that’s just one championship combined, Seahawks 2013/14, for teams still in the two cities. The city is eager for the playoffs to start. I’m a bit apprehensive. One of our sports writers wrote an article before preseason began theorizing that the Seahawks could lose the first two regular season games–they did–St. Louis and Green Bay. Then they could easily “limp” into the playoffs—they did with a 10-6 record–then lose the first playoff game. That’s the one I’m worried about. 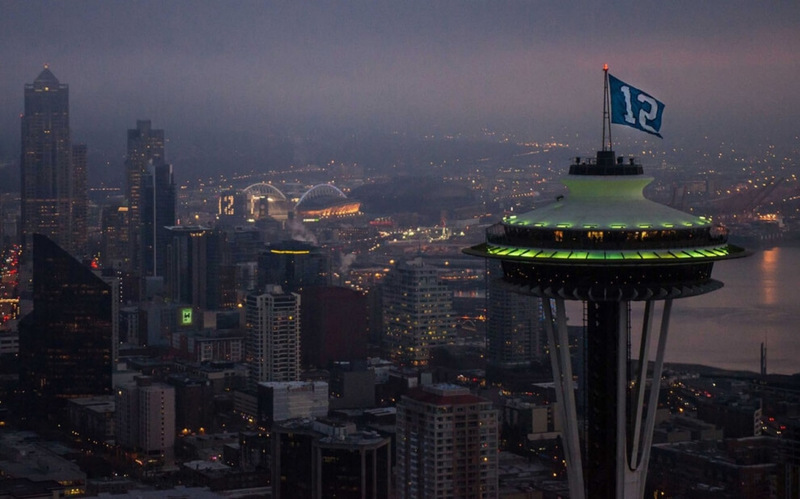 There’s no doubt, Seattle is a great sports town. From November to the NFL playoffs, they are wild about the Hawks. We [Janet and husband Frank] are football fans in as much as we watch every game. 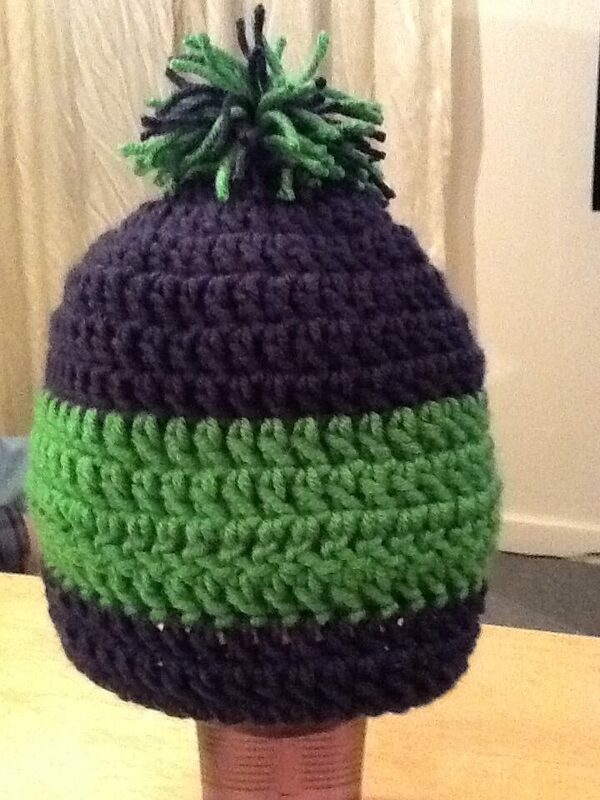 Neither of us own a #12 fan shirt but I am currently crocheting a blue/green hat with pom-pom. The city, however, goes nuts for the Hawks. The space needle is lit up blue/green on Sundays. Cars, houses, and construction cranes sport their #12 fan flags all week. Seahawks sportswear everywhere. Then there is the Washington Huskies basketball season to fill the void; Frank follows them in the papers. Moving right along to April pre-season. Ah baseball, with its accompanying hopes and aspirations . . . historically dashed by mid-September. Frank watches every game no matter how low in the standings the M’s sink. Hope springs eternal. . .This is a white collar town with a blue collar appetite. The Mariners draw well, as do the Sounders, and we’re trying desperately for another NBA team. An NHL franchise would be welcomed with open arms but we would need to build a stadium. The city is in no frame of mind to finance that. . . but you never know. We attend and cheer for whatever flavor is playing during the year. If the ‘Hawks advance, more from our Pacific Northwest sports commentator. Note: the shrine was actually a one day photo-op event.